A bit different than the way Boston signs squares. This appears to be a thick block of wood, though in much better condition than most wooden signs in Massachusetts. Also no way to judge its age, because while it looks old, it's in good condition. 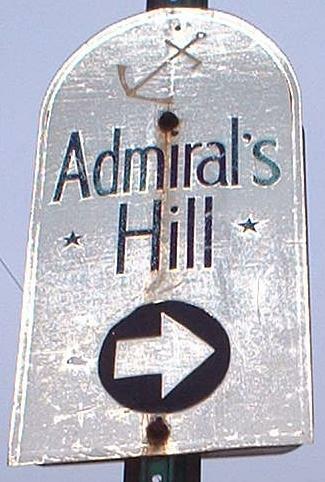 These warning lights are found on traffic light stanchions through Chelsea. 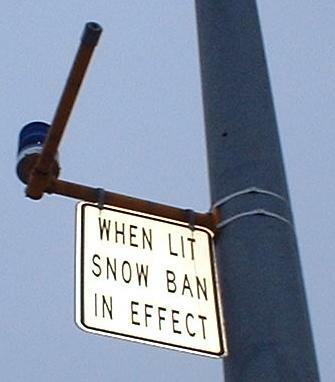 My question is, how exactly do you ban snow? 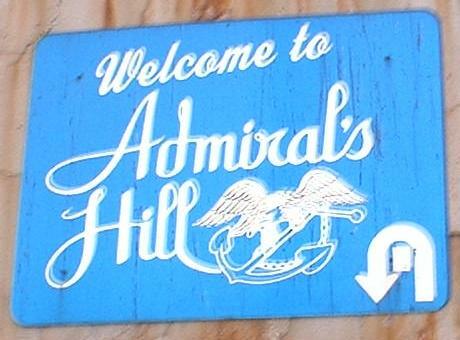 Admiral's Hill is an affluent Chelsea neighborhood right underneath the Tobin Bridge. 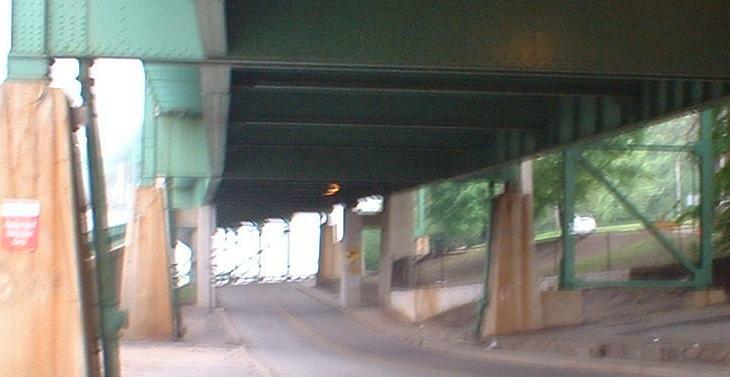 The loop in the second photo is a little misleading; the way into the neighborhood is either straight or to the left. 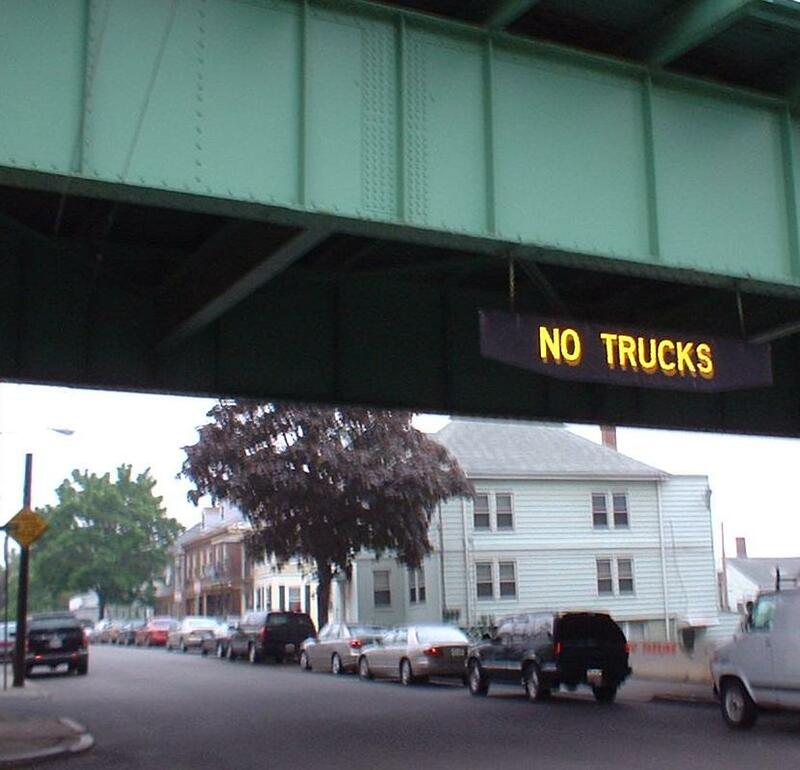 The neighborhood has grown around the Tobin Bridge, with Beacon Street hanging an MDC-style NO TRUCKS rubber banner on the structure (though a truck ignored it in the brief time I was there), and another street running directly underneath the roadway to access the Hill.